Family camping fun for all ages! Open April 13th - October 14th for the 2018 camping season. 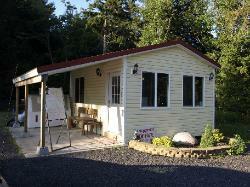 Conveniently located minutes from Lake Ontario, Fair Haven State Park, and the Sterling Renaissance Festival. Nature lovers can enjoy hiking, fishing or simply traveling about and exploring the local towns and shops. We are minutes from Fair Haven State Park, which offers beach, picnic, and fishing opportunities. Days are pleasantly warm, with average high temperatures around 80 degrees. At night, gather around the campfire as the cool Canadian breeze brings the temperature down for a relaxing night of sleep. 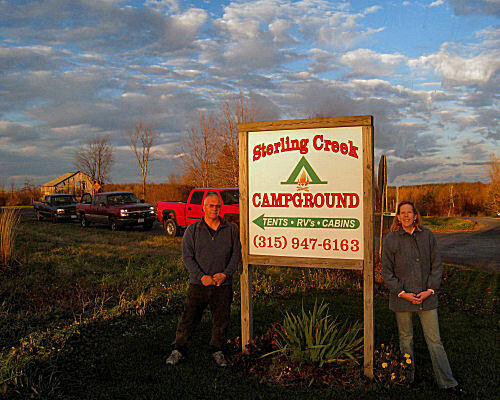 Sterling Creek Campground offers rental cabins, as well as tent and RV rental sites. Commune with nature. Fire up the family grill. Make new friends. You can do it all right here at Sterling Creek Campground! Browse our site to see all that Serling Creek Campground has to offer, then make your reservation today!